I compose several pieces by Photoshop. 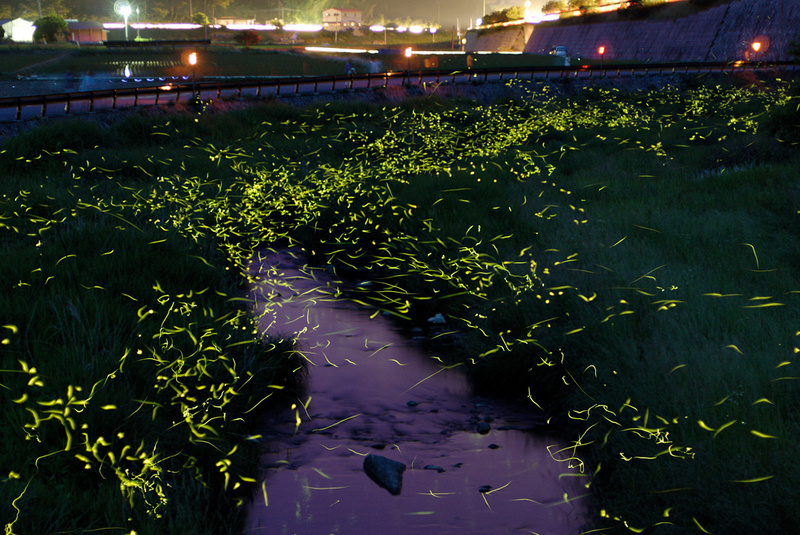 A real firefly is rather more less. 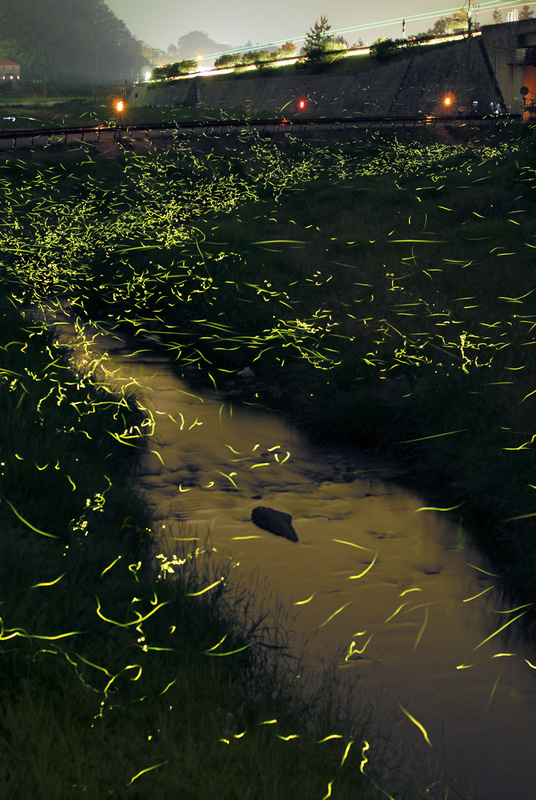 I seem to fly to a lot of width of a river at the time of great outbreak once in ten years. 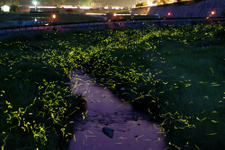 It is a firefly with protection activity matching this scenery. It will be one of the Japanese original scenery to image. 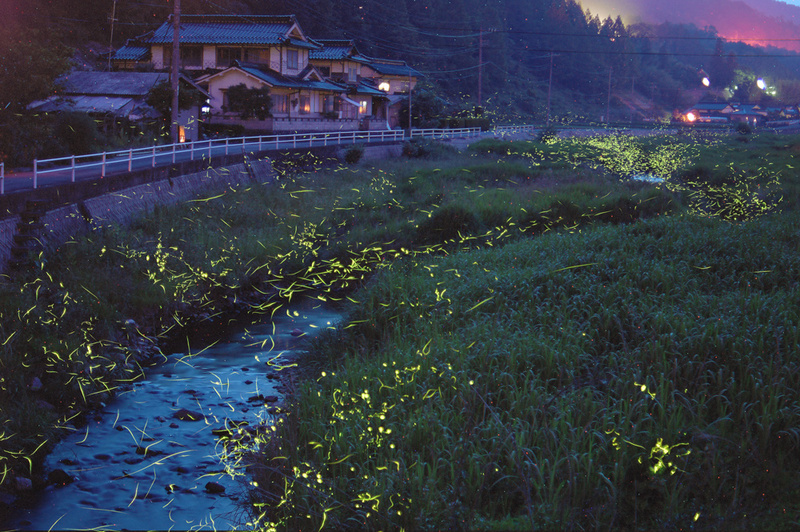 The time is the season of the firefly in the Japanese rainy season. Fireflies in the city does not live more than is common in the suburbs.